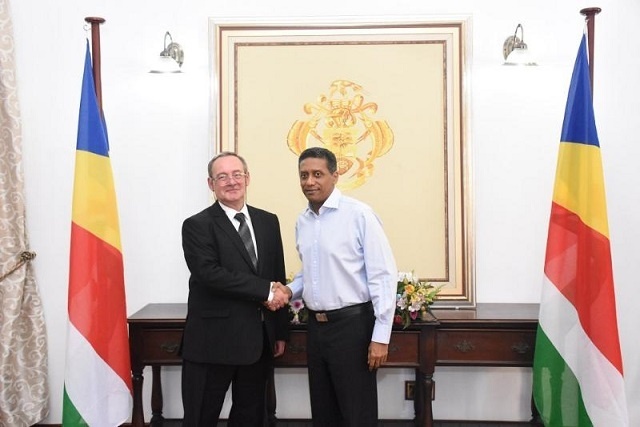 (Seychelles News Agency) - Seychelles can expect to benefit in the fields of maritime and agriculture through cooperation with Georgia, said the newly accredited Georgian ambassador to Seychelles on Tuesday. “Tomorrow, I will be meeting with the minister of maritime affairs because we proposed an agreement and I will be talking about it. We have suggested certain negotiations and certain agreements to your ministry,” said Dvalishvili. “We would like to share your experience in the field because we, like Seychelles, put great emphasis on tourism. In the field of tourism, Seychelles has made huge achievements and your experience will be very useful for us,” said Dvalishvili.